Next year, owners of certain late-model BMWs will be able to turn on their HVAC system, adjust the lighting, or change the radio all without lifting a finger. 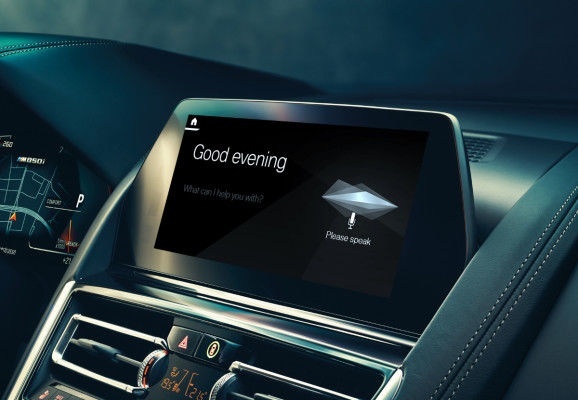 Today, the German automaker announced the launch of a proprietary digital voice assistant, which will be available for models featuring BMW’s latest 7.0 operating system, starting in March 2019. The assistant responds to the prompt “Hey BMW,” but it can also be customized based on the owner’s preference. Want to give your assistant its own name, like Charlie or Beyoncé? That’s an option, too. No need to be too specific in your commands. Just say, “Hey BMW, I’m too cold,” and the temperature will go up a couple of degrees. And, apparently, the assistant is advanced enough to respond to a driver’s existential anxiety: according to BMW, it will address questions like “What’s the meaning of life.” (Siri’s response is “I give up,” while Google offers a Wikipedia entry.) It knows the driver’s favorite settings and can even activate a combination of them for their greater well-being. For instance, “Hey BMW, I feel tired” triggers a vitality program that adjusts the lighting mood, music and temperature, among other things, in order to make the driver feel more awake.